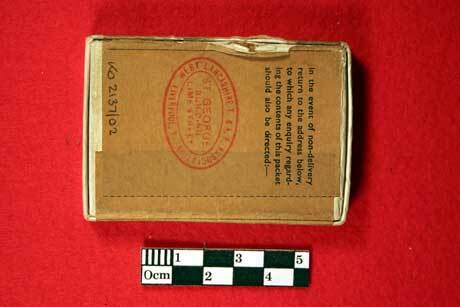 The issue of medals in the First World War was automatic for other ranks and required hundreds of thousands of medals to be despatched. These were packaged in boxes and sent in registered envelopes. 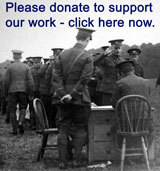 Second World War medals had to be claimed. 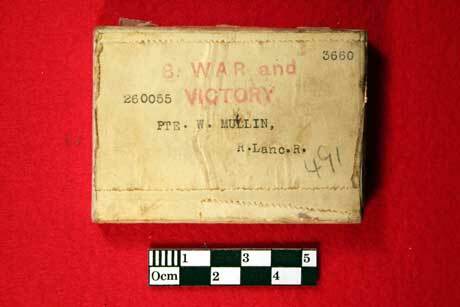 First World War medals box of issue for Private W Mullin, number 260055, King's Own Royal Lancaster Regiment. 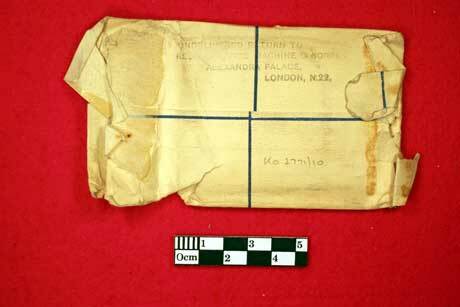 First World War medals registered cover for medal boxes sent to Mr William Corless, father of Sergeant J Corless of the King's Own Royal Lancaster Regiment. 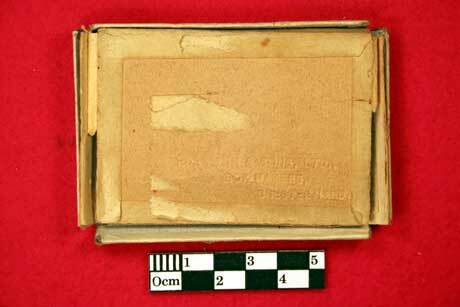 Rear of First World War Medals box to Private J Yeudall, King's Own Royal Lancaster Regiment. 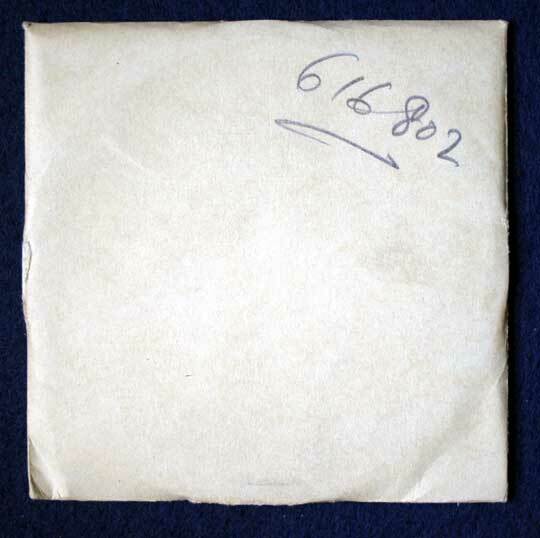 Enlargement of the rear of the box to Private J Yeudall, stamped with the maker's details: "Robinson & Sons Ltd Boxmakers, Chesterfield'. 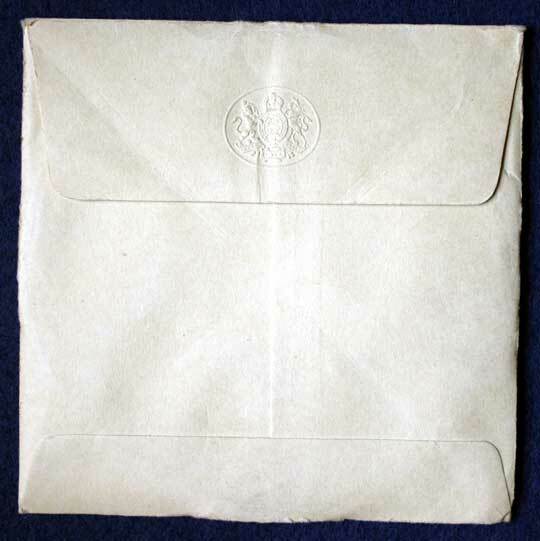 Envelope in which the memorial plaque was stored. 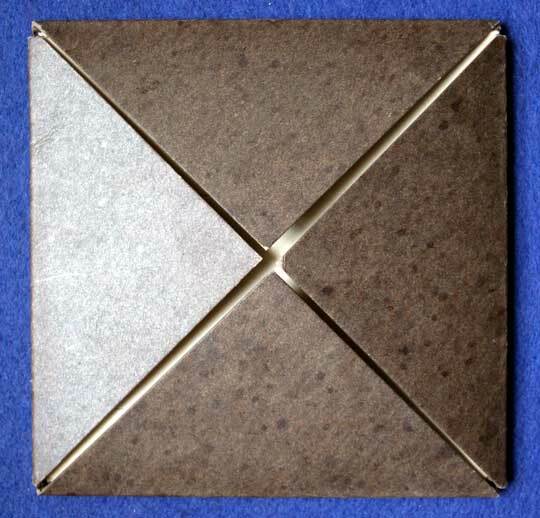 Card board packing for Memorial Plaque. 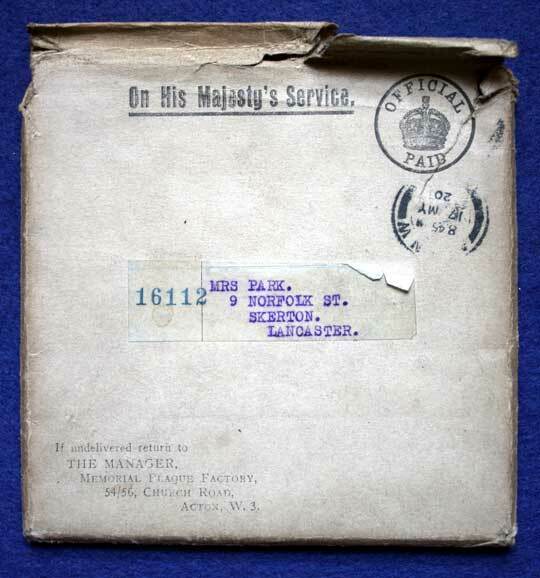 Outer envelope for Memorial Plaque, addressed to Mrs Park, 9 Norfolk Street, Skerton, Lancaster, from The Manager, Memorial Plaque Factory, Church Road, Acton, London. 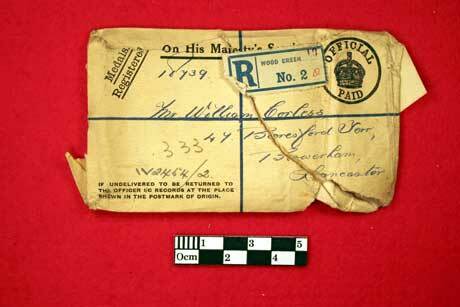 The envelope is postmarked and dated May 1920. 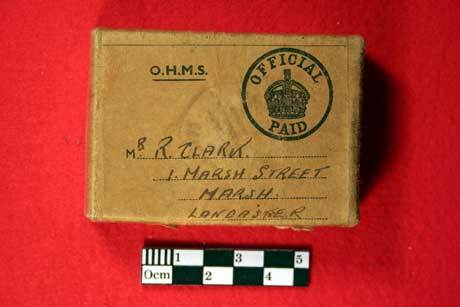 Second World War medals box of issue to Trooper Rowland Clark, King's Own Royal Regiment and Recce Corps. 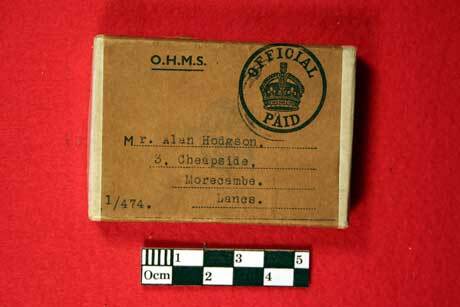 Second World War medals box to Home Guardsman Alan Hodgson of the Morecambe Home Guard, the 4th County of Lancaster (South Lonsdale) Battalion.